On the Flora hills in the Tuscan Maremma, about 350 mt. above sea level, the olive tree growing has been done for thousands of years. Our olive grove, with almost 300 plants, is located in a favorable position for exposure, soil type and microclimate (no fog). You will be able to find so many different varieties, such as leccino, crusher, Corregiolo, maurino and, in smaller numbers, canine, moraiolo pendolino. 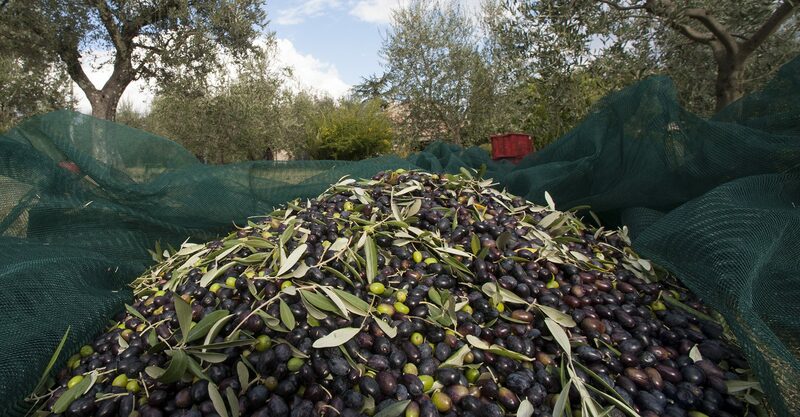 The harvesting is done by hand, directly from the tree when the olives reach the right degree of ripeness. The processing takes place within 36 h with continuous cycle system at a temperature never exceeding 30°C; this system allows both to preserve the natural substances contained in the olives without that undergo oxidation processes which could jeopardize all the valuable peculiarities healthy, and to maintain unchanged over time its quality characteristics.